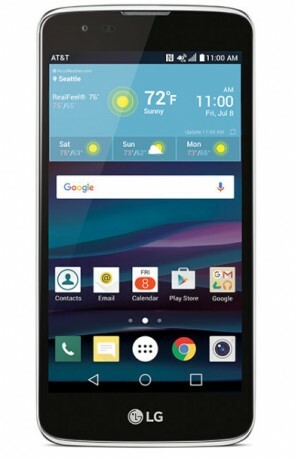 AT&T's GoPhone prepaid service recently made the LG Phoenix 2 available from its web site. This entry-level Android smartphone includes a 5-inch 720p HD screen and is powered by a 1.3 GHz quad-core Snapdragon 210 processor with 1.5 GB of RAM. The Phoenix 2 has an 8-megapixel main camera with LED flash, burst shot and gesture shot, and a 5-megapixel front camera. The phone has 16 GB of storage and supports memory cards up to 32 GB for additional storage. The Phoenix 2 ships with Android 6.0 Marshmallow and LG included some of its core software tools, such as KnockON, Knock Code, Quick Memo, and QSlide apps. It has a removable 2,125mAh battery and features LTE, Bluetooth, GPS, NFC, and WiFi radios. The phone costs $99. GoPhone does not require contracts. Cricket Wireless recently added HD Voice to its service offering. HD Voice, which requires both the caller and receiver to have compatible devices connected to Cricket's LTE network, delivers significantly improved voice clarity. AT&T today announced that its GoPhone prepaid customers can buy one eligible phone and receive a second for free. The buy one, get one deal goes into effect July 22 and includes phones such as the Samsung Galaxy Express Prime or LG Phoenix 2.